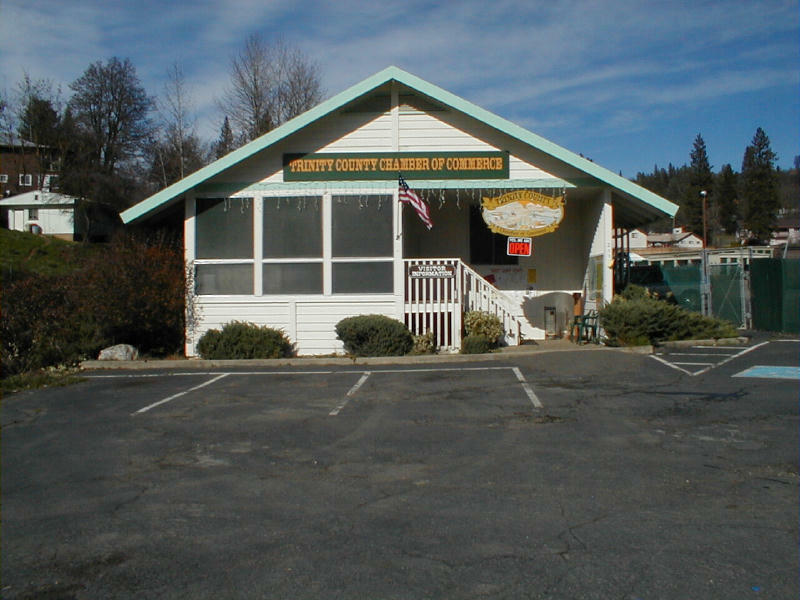 Our self storage is in the heart of uptown Weaverville at the same location as Trinity County Chamber of Commerce. 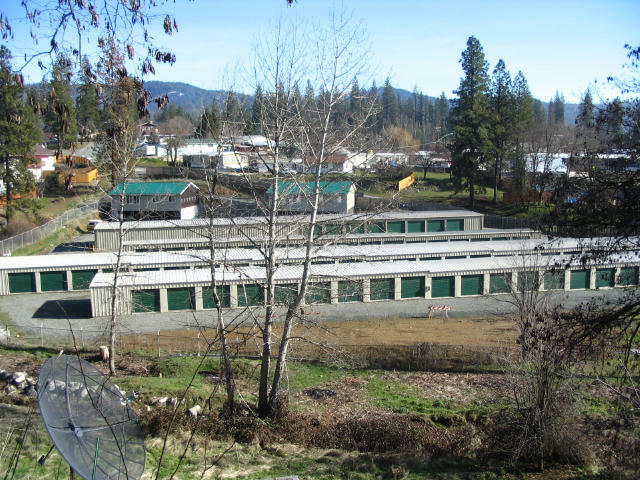 It is the largest fenced indoor/outdoor self storage yard in Trinity County with on- site managers, 7 days, 8:00 AM to 9:00 PM and open Holidays. We accept VISA, MC and personal checks. 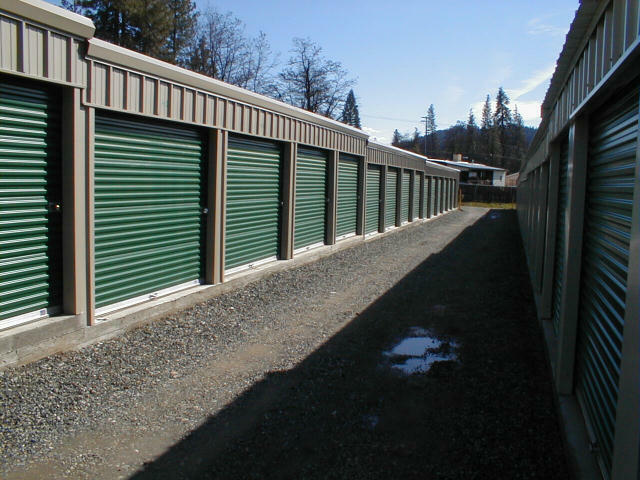 If you are looking for clean, quality, safe storage, you are at UP-TOWN Storage. Boat & RV pickup and delivery service available too! And we provide the locks as well! Units are clean, modern metal construction with concrete floors. We have the padlocks for convenience too! 10' X 12's are most common for 2 Bdrm size living. Locks provided. 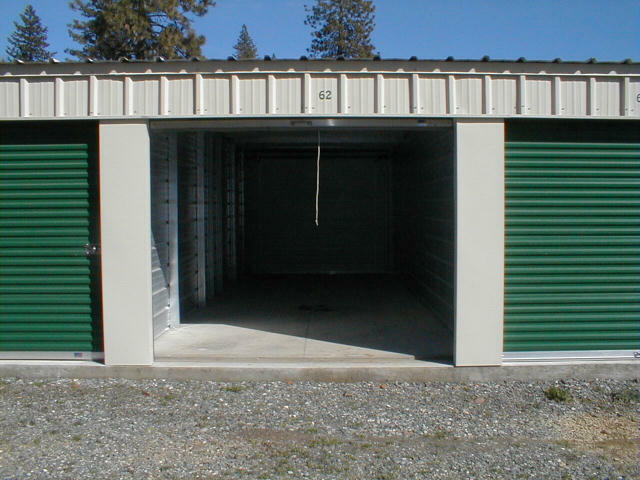 10' X 25's are most common for full size house storage. We provide the locks too! 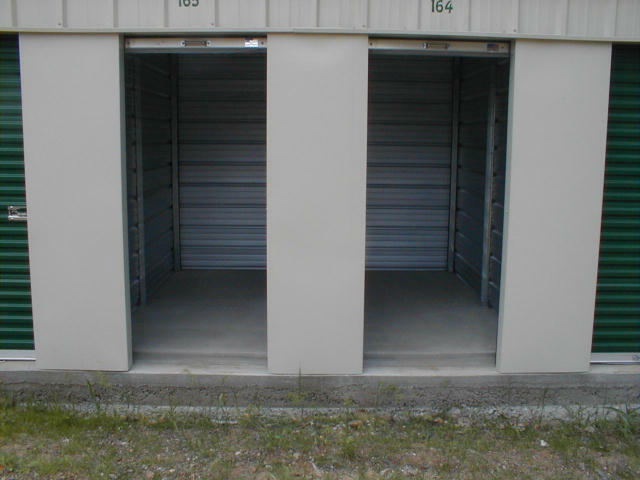 We specialize in 10' X 20' and 10' X 25' with, shown is a double door unit, which is a great idea and keeps you from having to climb over stuff to get to the item you need. 5' X 10' are perfect for extra household articles, they are small and affordable yet very secure. 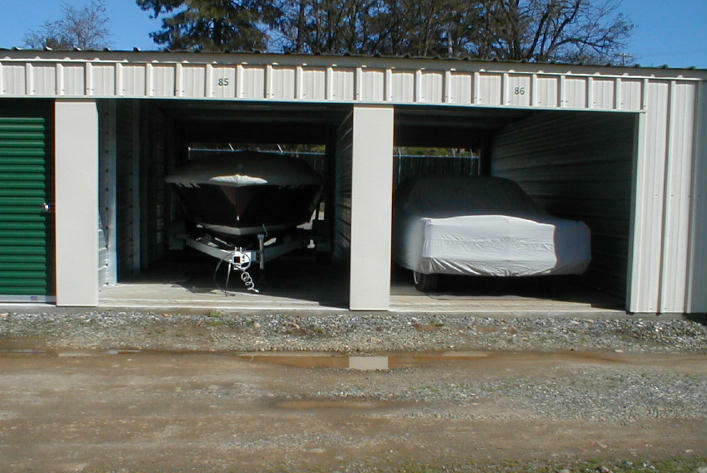 Look for the Trinity County Chamber of Commerce building next to our entrance on Hwy 3 north or call ---(530)-623-6064 Boats, RV's, Equipment, covered or not.